Kandal: While the development and development of infrastructure in Ta Khmao is progressing step by step with the project Located in the master plan of the ministry and the provincial hall, the value of land and real estate of Kandal, especially Ta Moanh Hak has risen sharply. In which the real estate experts claim to be moderate The price of land and real estate in downtown Ta Khmao increased by 30-50 per cent, while the price of suburban land The National Road No. 21 has increased between 20-30 per cent and the land adjacent to the provincial road is almost flat 100 percent. Kandal provincial governor Kong Sophorn said by phone on the afternoon of March 29 that Takhmao now has The scope is far more extensive than before, after four communes were taken from Sa Ang as a tributary of Takhmao. Including Svay Ream Commune, Sot Chor Commune, Prek Koy District and Roka Roka. He said that in the master plan of Takhmao province, there would be development of almost all urban infrastructure systems besides The expansion of the city has expanded many roads to facilitate the daily living of the people That number of people is growing steadilyStanding. Kong Sophorn said that in the period when the provincial hall as well as the Ministry of Land Management, Urbanization and Construction Focusing on this development has made the construction industry in the whole of Takhau province flourish as well Especially the housing sector is booming under investing Domestic terminals companies. Dr. Van Wath, a specialist in urban planning, who is the master planner of Ta Moa and all districts in Kandal province, The land use map in Takhmao, Kandal province, has been formally put into place by the Ministry of Land Management and Construction. Support development Economic, social, environmental and sustainable effective safeguarding of natural resources. "Every development development blueprint is really important, because the main layout has set the size path to determine," he said. From the local land use plan to be appropriate and to promote land use and sustainable development. " He added that the master plan identified different development areas, such as areas for industrial development, development zones, commercial centers and farming areas And so forth.The master plan can be implemented and also requires the participation of citizens and local authorities to make this work effective and successful. . The master plan is a new development in the locality for people, industry, tourism, agriculture, and hydroponics projects. Of lifestyle vacation Much of the work, especially through the implementation of the master plan, can reduce the number of land conflicts that have had problems. Constantly occurring locally. "The progress in Ta Khmao, especially the widening of the scope of the whole city, In line with the growing demographics, real estate and construction increased. " 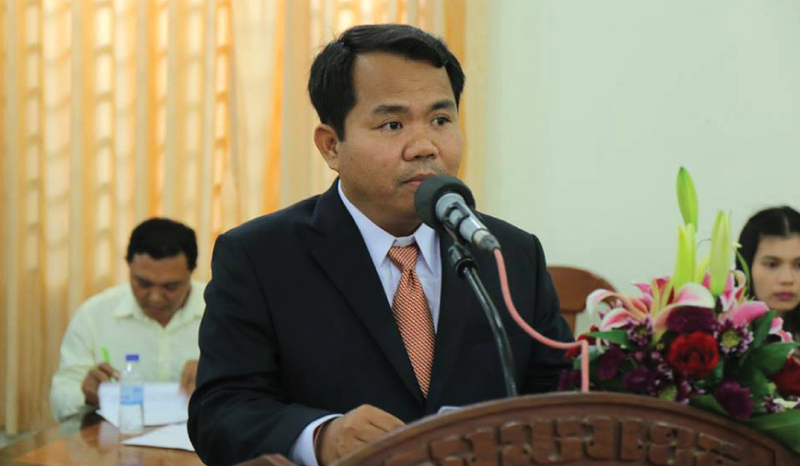 At the same time, the director of Khmer Foundation Appraisal (KFA), Oknha Noun Rithy, nowadays Tampa is no longer lonely as before This besides development in urban areas in urban areas in the suburbs has also developed, especially in residential construction. The price of land has steadily increased. He said that currently the price of land in the commercial area ranges from $ 700 to $ 1,500 per square meter and some areas It can be up to $ 2,000-3,000 per square meter. Particularly, land in the suburbs, especially the land adjacent to Kratie town in Saang district, has a value of between 150 - $ 350 per square meter, depending on the size of land and location.